We owe a summary of all the trips for s/n since 9/22/16. Coming soon. Just been too busy doin' to write about it! 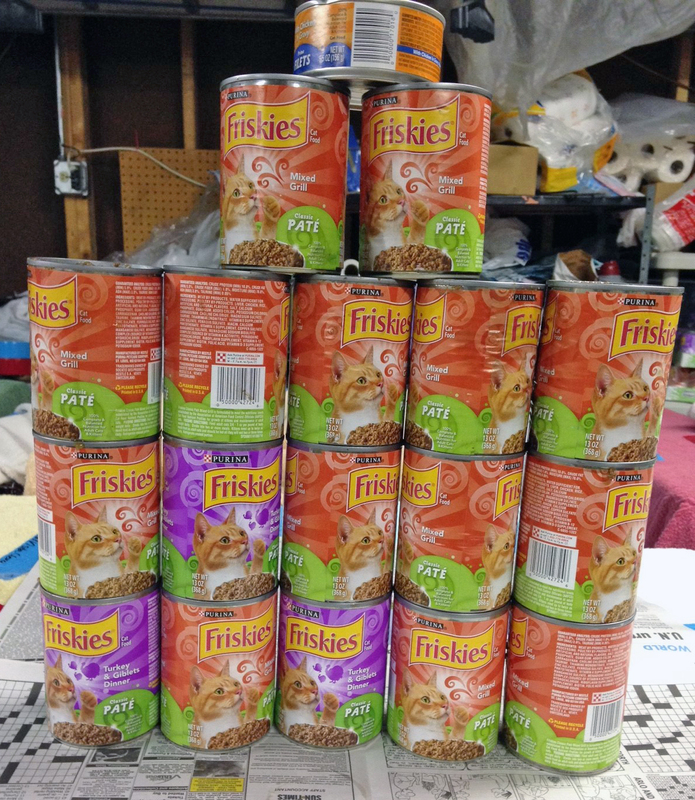 As a sample of what we've been doing, on 10/28/16 there were 45 cats in the garage - back from s/n, being held because they are friendly and needing a place to go for foster, etc., and it took 17 large cans and one regular can of Friskies to feed them the evening meal. 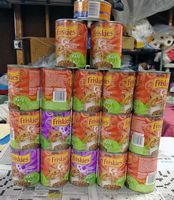 Each cat gets a 1/2 cup to 3/4 cup serving of canned food mixed with water and crunchies if the cats seem to prefer them. 225 ounces of canned food! Anyone have connections at Friskies?